When the Freedom was released about 19 months ago, it was a game-changer. It was the first shoe to boast a full-length EVERUN midsole. A very responsive, yet still cushioned shoe that became an instant favourite. The updated version dropped this summer and while I was a fan of The Freedom to begin with, I like it even better now. With the second edition, you still get the full-length EVERUN midsole, but you also get the debut of ISOKNIT. The previous model had an ISOFIT upper which has a sock-like feel and “morphs to the foot for a custom feel”. Those features are maintained with ISOKNIT, and the addition of a performance knit gives you more freedom of movement and makes the shoe more breathable. One of the most striking changes in the new version of this shoe is the fit. The Freedom ISO 2 has a much more spacious toe-box than the original version. I was a little cramped in the previous model, and typically reserved the shoes for track-workouts. I love the fit of the second edition! While I will still be wearing them on the track, I plan to wear them during other, longer sessions as well. During the summer I learned that Saucony would be releasing a brand new running shoe sometime in winter 2016/2017. As a Saucony fan and shoe nerd I was beyond excited to learn this. Partially because this is a completely new shoe not just an upgraded model, but mostly because I heard the shoe would have a full-length Everun midsole. In case you don’t know, Everun is a newer innovation from Saucony. 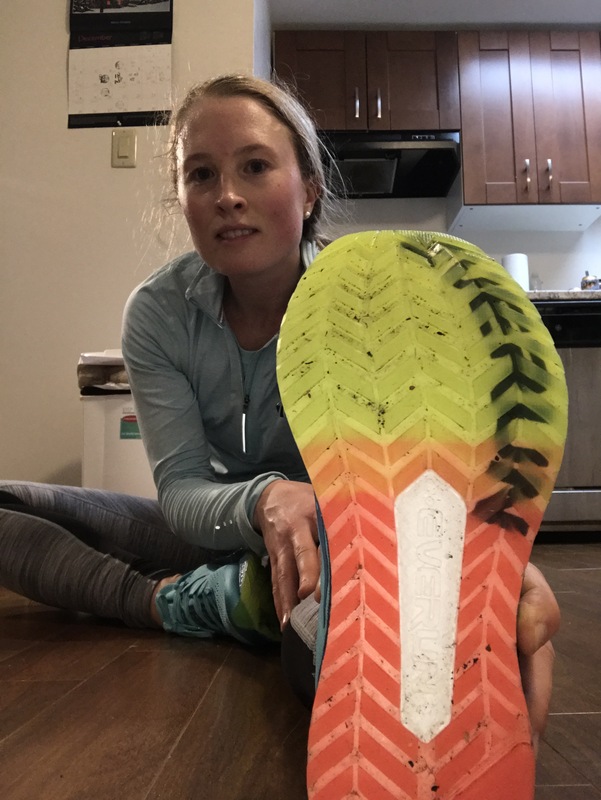 It is their form of cushioning which boasts energy return, durability and it’s closer to the foot than other performance brands place their cushion. In the past, the Everun has been used solely in the heel insert or top sole. The Freedom ISO hugs your foot nicely, and feels super light, I almost forgot I was wearing shoes, seriously! 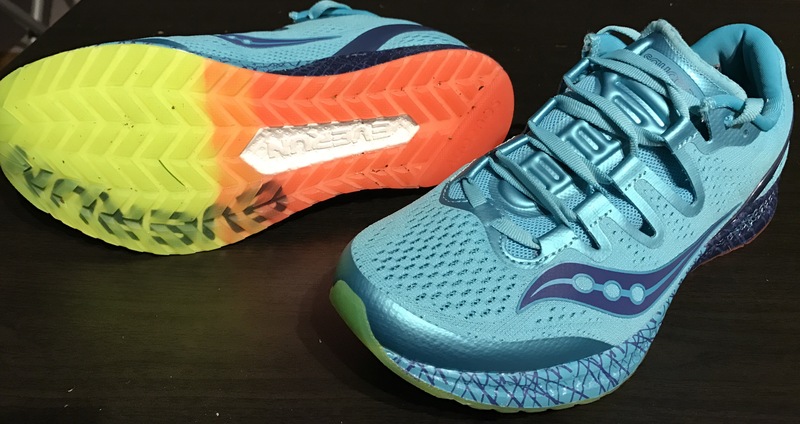 Saucony certainly delivered on their promise of energy return. I felt like I was spending more time on my forefoot, barely working , while still running far too fast for an easy run. Normally I try to keep it slow, but I just couldn’t, the shoes felt great, I felt great and the runners’ high followed. The next day I took them out again for a 75 minute run, again they were amazing. The way they feel on your feet is incomparable to anything else I have tried. It is evident Saucony put a lot of reasearch and effort into the creation of the Freedom ISO and it was well worth it. I have decided to compete in The Island Race Series in 2017, so I think I’m going to reserve these for speed work and racing. The Freedom ISO’s slogan is “starts amazing, stays amazing” and from what I have seen that’s certainly the case. Last week I received an email from Adidas Canada asking if I would be interested in receiving a pair of their new Ultra Boost Uncaged running shoes. The answer of course was a “YES” please! In case you didn’t know, the hype surrounding Adidas Ultra Boost is insane and certain colour ways can be found on eBay for 100s of dollars. The original Ultra Boost has plastic “caging” on the sides of the midfoot, so for the uncaged version this is not present. The Ultra Boost Uncaged were released for the first time a few weeks ago and sold out instantly! I tested these shoes for comfort while standing and walking in them for 6 hrs at work. They felt wonderful. I also took them out for an 11km run which consisted of a 20 minute warm-up, 8 x 2 mins @ 8km pace, and a 20 minute cool-down. They were a great choice for this workout due to the incredibly responsive, energetic “boost” sole of the shoe. I also really enjoy the hugged sensation provided by the “primeknit” material on the shoes’ upper. It is a pleasant and secure hugged feeling without being restricted in your range of motion. The Ultra Boost Uncaged was originally released in grey and pink for women. I LOVE the grey colour way. More colour ways are coming very soon! I have my eye on the triple black (sole is also black), they are a great looking shoe. The Ultra Boost Uncaged meets Adidas promise of providing a super responsive ride. They were great for a run that included speed work and I have no doubt they would continue to feel great on a longer run. Plus, they get mad style points, not many performance running shoes offer that! My rating is a 5/5. *Though these shoes were given to me by Adidas, the opinions are my own. I took these out for a 20 minute walk and a 7km easy run. They were great for walking, and I felt like I was being propelled forward. This was followed by a 40 minute easy run which was just over 7km. At 9oz the Gemini 2 are quite light in weight, which I liked. They pack a lot of cushioning into those 9oz. Each brand has their own type or name of cushioning and Under Armour uses speedform. They feel springy and I would consider them to be quite responsive. These would be an ideal shoe for any kind of speed work. In terms of fit, I found them true to size. The Gemini 2 hug the midfoot in a way that feels secure. They are spacious in the toe box, which I liked. My feet are on the wider side, but these fit perfectly! They come in many different colour choices and let’s be honest, colour matters to MOST people. I especially like the fade detail on the side of the shoe that goes from turquoise like the shoe’s upper to green like the laces. Overall, I was impressed with the Gemini 2 and would give them a 3.5/5.